Shenzhen has made an impressive presence at the 2019 Consumer Electronics Show (CES) with the participation of 456 enterprises at this year’s four-day event that ran till last Friday. Aryna Sabalenka of Belarus got a confidence boost for the upcoming Australian Open after beating Alison Riske of the United States 4-6, 7-6 (2), 6-3 in the Shenzhen Open final Saturday. To celebrate the end of the semester and the coming New Year, Shenwai Longgang International School (SLIS) held a special winter celebration on December 21. The police’s exit-entry department has handled more than 10 million exit-entry documents in 2018. 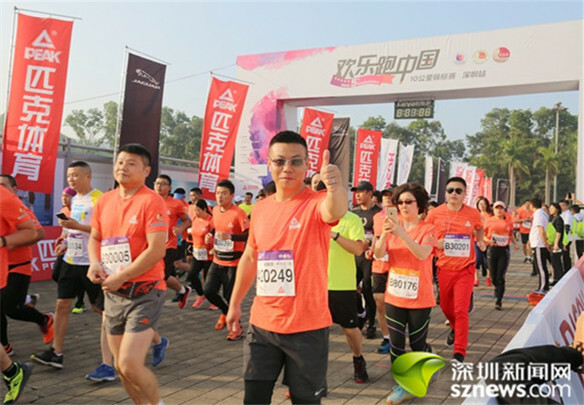 2018 10 Kilometers Happy Run China was launched at Longgang Sports Center on Dec.22, which attracted nearly 3000 runners, sznews.com reported. Shenzhen will build 10 new cultural facilities in three years that cater to the city’s ambition to build itself into a world-class metropolis. A forum highlighting the sports industry in the Greater Bay Area was held at The Coli Hotel in Longgang on Dec. 6. The 2019 Shenzhen Open will be held soon at the Longgang Sports Center. A summit highlighting innovation in artificial intelligence (AI) technology was held at the international conference hall of Cloud Park in Bantian on Dec. 5. The 3rd China Innovation & Entrepreneurship International Competition (Shenzhen) (CIEIC) was launched Dec. 1 and its final will be held in Longgang next year.